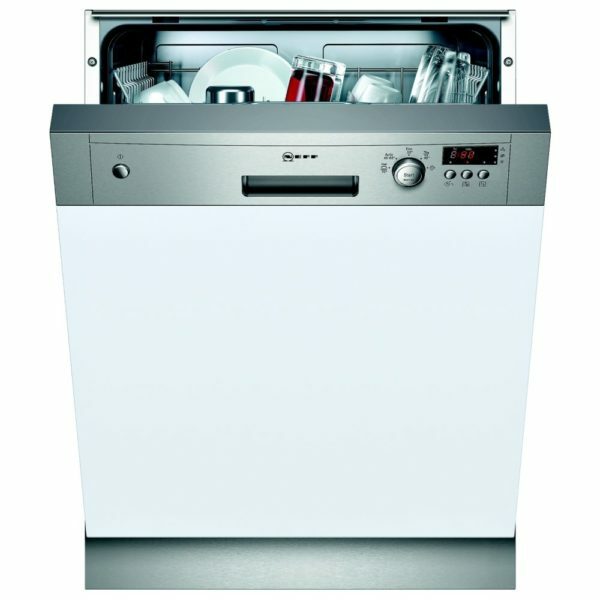 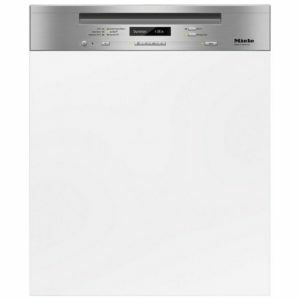 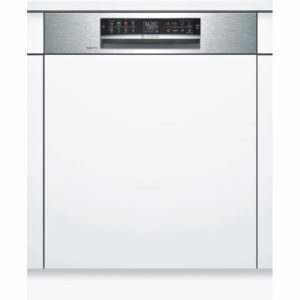 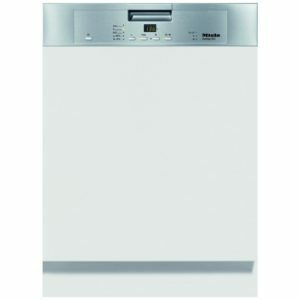 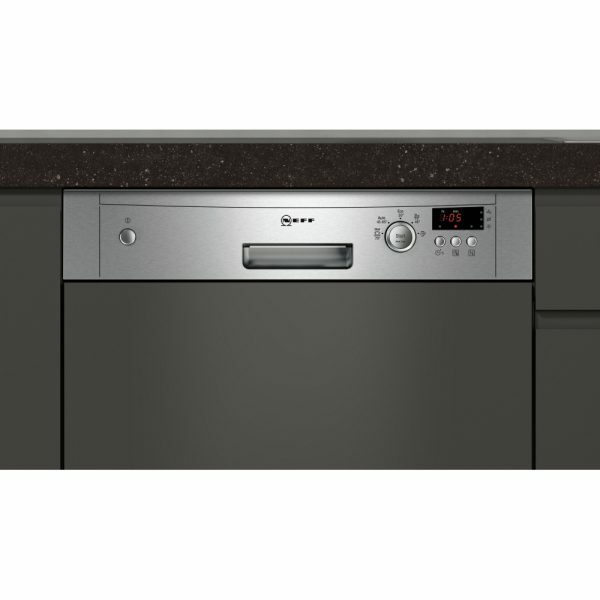 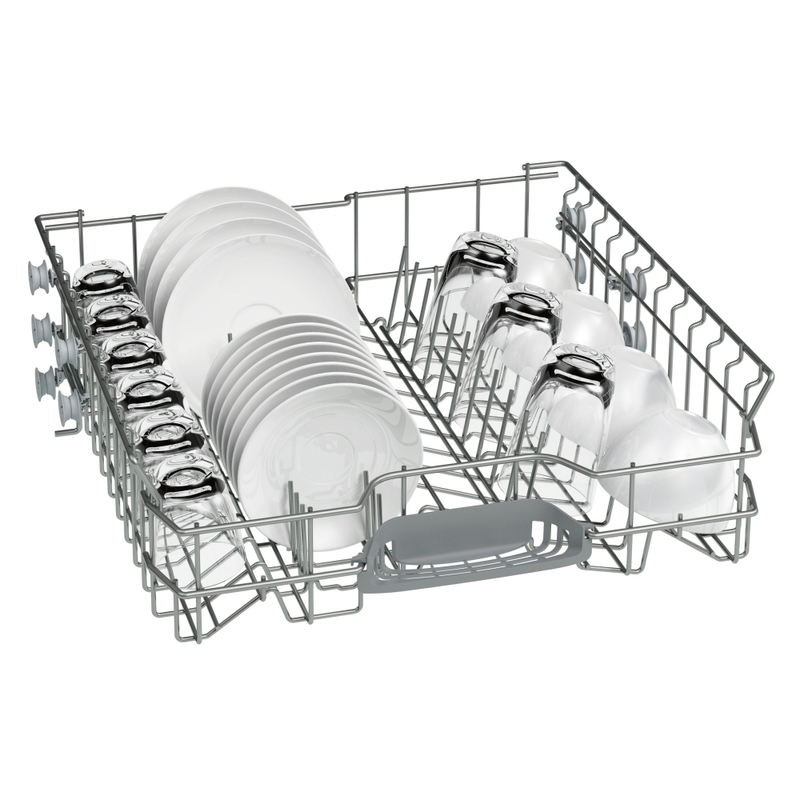 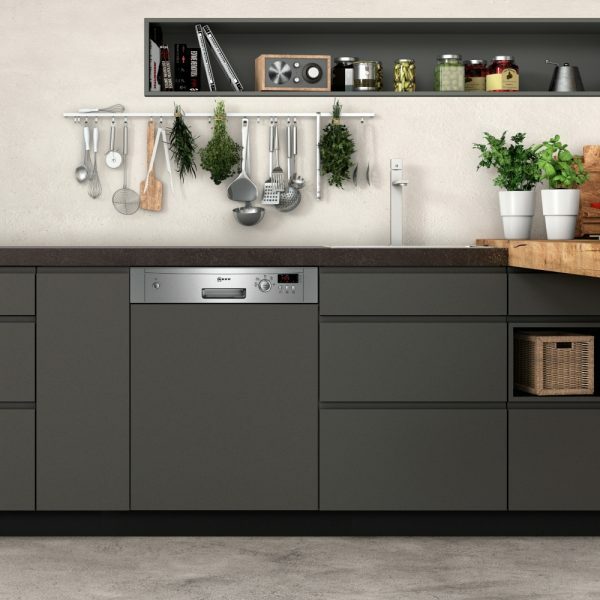 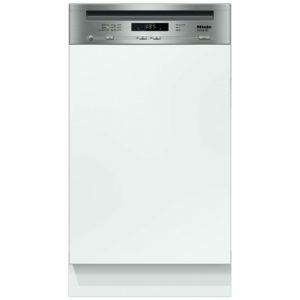 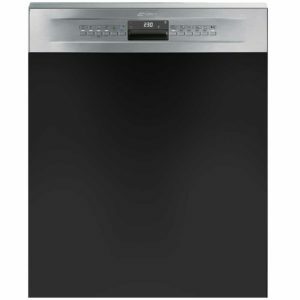 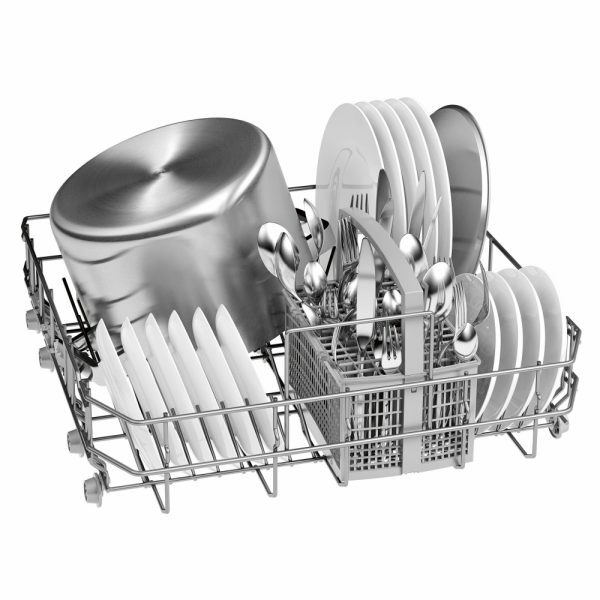 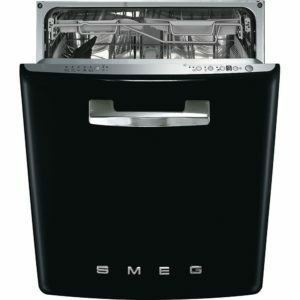 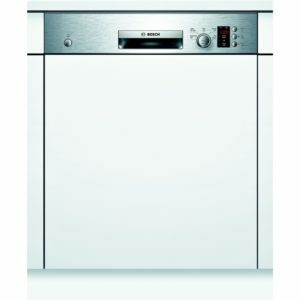 With space for 12 place settings, 5 programmes and a desirable A+ energy rating, this semi integrated dishwasher from Neff is ideal for a busy home. 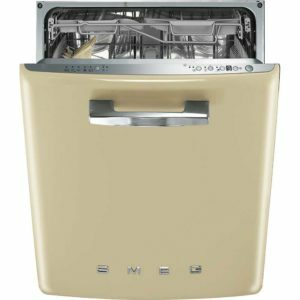 With a reliable Aqua Stop that monitors for any leakage and shuts off the supply, preventing overflow even when the machine is off, you can rest assured about water escaping! Offering Dosage assist, which ensures that the powder or tablet is thoroughly dissolved and Vario Speed to reduce programme time without loss of performance, there’s plenty of features within this dishwasher! 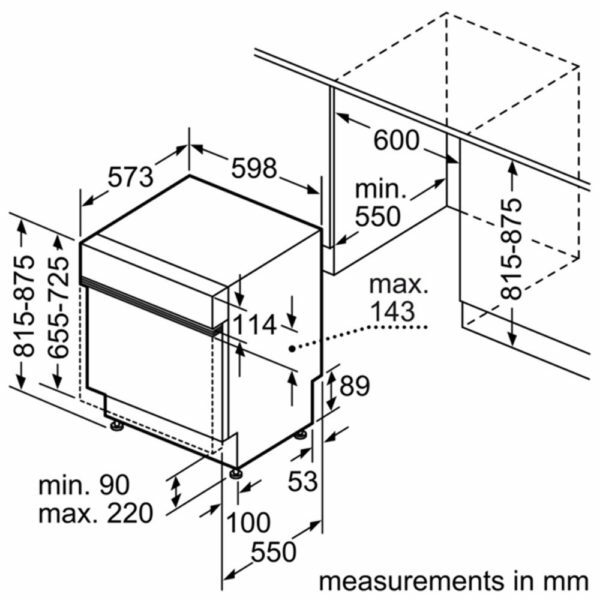 Designed to be hidden behind a furniture door with the fascia on display it blends in smoothly while still being easy to use.